About 70% of men and 50% of women experience some degree of hair loss in their lifetime. Causes of hair loss come from several factors, but mostly from these three — Genes, Hormones, and Age. Others causes of hair loss can be due to stress, familiar, high fever as a result of severe infection, thyroid disease, inadequate protein in the diet, certain medications, cancer treatments, childbirth or birth control pills. Don't worry...we have everything to help you!! Today, hair restoration surgery can restore a person's hair so naturally that no one can tell they had a hair transplant, even upon close examination. hair, you can dye, perm, and cut your transplanted hair with no worries. Makeover Travel provides high quality hair transplants to achieve your desired look!! 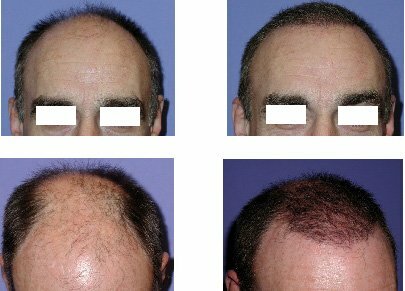 Hair transplantation is a minor outpatient surgery that simply relocates existing hair follicles from the donor site to the balding area. The procedure first begins with the surgeon removing a donor strip from the donor site, which is often located on the back or side of the scalp. The surgeon will remove a strip of skin from the donor area and close the opening with self-absorbable sutures. The donor strip is further cut into 3 sizes of grafts — the micro graft, th e single follicular unit, and the modified follicular unit. The single hair follicular unit has 1 hair; single follicular unit has about 2 hairs; and the modified follicular unit has 2 to 4 hairs. The surgical technicians then isolate individual hair follicles from the donor strip, and implant them to the graft region. The grafts are inserted into pre-cut micro and mini slits that are strategically designed to aesthetically improve the density of your existing hair, lower the hairline, and fill in balding areas. 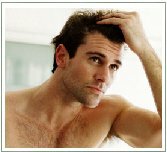 Hair transplantation has a high success rate as long as you have enough donor hair. This procedure does not have any long term or major side effects. Taking the medication that we provide after the procedure prevent possible complications such as infection and swelling. There will be a fine scar on the donor area that you can easily cover up with the surrounding hair. It is important to note, that the balding portion of the head is not the cause of your hair loss; it is the genetic makeup of the hair. Healthy follicular units from the back of the head will continue growing as they always have. The creations of very small micrographs has allowed very natural feathered hairlines to be grafted avoiding an abrupt “pluggy Look” that was typical many years ago. The number of transplants needed may vary from one person to the other but it is calculated that, in average, the number of transplanted hairs during one session of follicular micrografting is a little more than twice the number of follicular units transplanted. Consequently, 1,200 FU will result in 2,400 or 2,800 transplanted hairs. Hair loss in females, while often less noticeable than male hair loss, can be far more emotionally damaging. Women have fewer options for a hair loss remedy than men and often suffer the pain of thinning hair in more personal ways. While women can suffer female pattern baldness with thinning in the crown, temples and hairline, they also are more likely to have a diffuse hair thinning throughout the entire scalp which limits their hair restoration options. More than 20 million women in the United States alone are suffering from hair loss. The procedure generally takes about 3 to 5 hours depending on the mount of micrographs to be implanted. The operation takes place under local anesthesia plus an intravenous sedation. The patient will have to rest at the hotel for 24 hours. After 48 hours the patient will be able to wash his/her head. Within 24 hours small crusts will form from each graft which is shed in approximately 7- 10 weeks. Sleep in a semi-upright position for 2-3 days following the procedure to minimize the swelling. The grafted hairs will often start to grow by 6-12 weeks after the procedure is done and will continue to grow a lifetime. There is no additional care needed on the transplanted hair; just treat it like your ordinary hair, because it is your own hair! The transplanted hair will start to grow in 3 to 6 months, and will have the same strength, color, texture, length, and life span as your hair from your donor area. 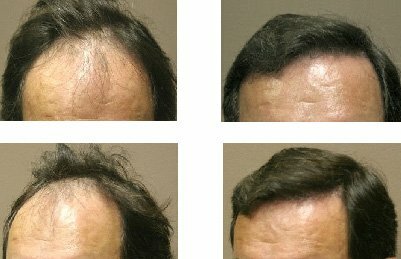 Within 6 months of the procedure, the transplanted hair can be groomed and combed in any fashion you like. By doing a hair transplant now, you can replace your hair as it begins to thin and bald. You will only have to wait 3 months and see your hair grow back where you thought was impossible! It is painless treatment. Patients usually feel little or no pain, and can return to work the very next day. They are removed a week after the transplant. Some swelling and bruising around the eyes may occur two to three days after surgery. The small punctures where each follicular unit is implanted become visible very soon. The scar on the donor area remains completely concealed beneath the hair.